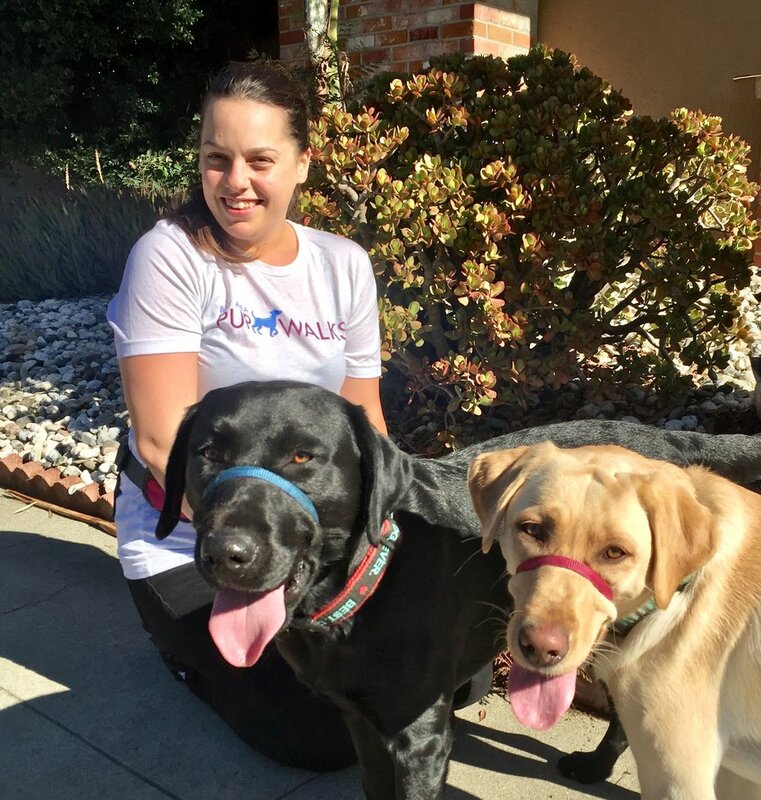 Ashley joined us in November and walks dogs in the Dublin & Livermore area. She spent years as a professional dog groomer where she learned how to “read” dog body language skillfully and gained experience with a multitude of dog breeds and temperaments. Ashley also has previous experience with walking and pet sitting so she made a very smooth transition to professional dog walking with Pupwalks! Ashley is warm and friendly and is a natural “dog person”. Here she is with Hogan and Hagen, two loving and entertaining Labrador youngsters we walk in Livermore.